Richard K. Glauser is the co-managing partner in the Salt Lake City office of Lewis Brisbois and a member of the General Liability Practice. Mr. Glauser has more than 35 years of civil trial work experience focusing on personal injury defense, property and casualty claims, coverage disputes, products liability, construction defects and fires. He has handled numerous jury trials, bench trials, arbitrations, mediations, and appeals. He is AV rated by Martindale-Hubbell and a recommended insurance attorney by A.M. Best. He has repeatedly been named as one of top lawyers in Utah by Utah Business as selected by his peeers. He has been awarded Excellence in Practice by Super Lawyers. He was named one of the top 100 litigation lawyers in Utah by The American Society of Legal Advocates. 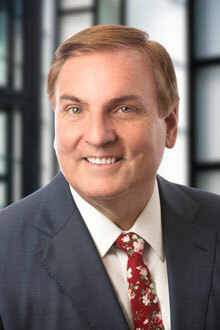 He was named to Lawyers of Distinction recognizing Excellence in Insurance Law.